T-Mobile keeps on giving the people what they want. 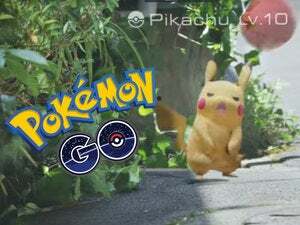 Earlier this week we reported that Pokémon Go was eating the world, and in the last few days the augmented reality game has taken another big bite. The craze has hit such heights that you can now filter locations on Yelp based on whether or not a Pokéstop is nearby. Seriously. Not wanting a good fad to go to waste, T-Mobile's getting in on the action with an offer that should bring a smile to every trainer's face. Late Thursday, the company announced it would offer free data for a year for all customers’ Pokémon Go sessions. The offer only applies to data consumption from using the Pokémon Go app. T-Mobile isn’t just giving away the free data automatically, however. Any T-Mobile customer that wants to go around town Pokémongering for free first needs to download the T-Mobile Tuesdays app. Then, on Tuesday, July 19, you can claim the gift of free PokéData. If you miss out on the free data deal this Tuesday, it will be available in the app every Tuesday until August 9, 2016. The upcoming T-Mo Tuesday includes a bunch of other Pokémon-themed deals. Pokémaniacs can get a free Lyft ride (up to $15) in order to get to a new PokéStop or Gym, because why get sore legs from walking when you can ride around in style? There’s also the usual Wendy’s Frosty for free, but this time it’s to “fuel up your hunting trip.” T-Mobile is also offering 50 percent off select mobile accessories, including portable power packs and chargers. Even if you don’t play Pokémon Go getting a half-price charger is a great deal—especially if you have one of the more power-hungry Android phones out there. 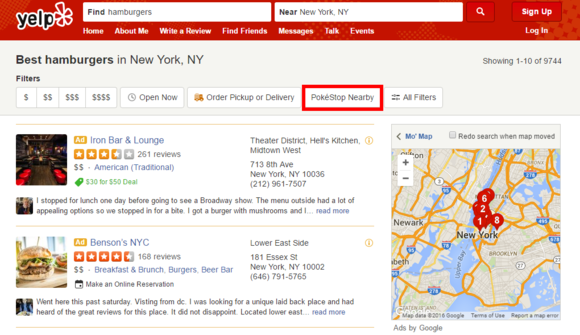 Finally, T-Mobile is offering a bunch of giveaways, including 250 prizes of $100 in PokéCoins, and five Pokémon Go hunting trips to anywhere in the U.S.
Yelp can filter business locations by proximity to PokéStops. The free data's a crowd-pleasing deal, and it probably won't take much out of T-Mobile's pocket. It appears the game isn’t eating up that much bandwidth to begin with, as reported earlier by The Wall Street Journal. Pokémon Go usage is somewhere in the region of 5 to 10 megabytes per hour. If you have a 2GB data cap you’d have to play around 200 hours every month (around 7 hours per day) to hit it. The bigger issue around the new deal isn’t how much data you can save, but whether T-Mobile’s offer violates net neutrality. Critics are already arguing that it does. Net neutrality is the basic concept that no single type of Internet traffic should be prioritized over another. The Federal Communications Commission began enforcing its own version of net neutrality rules in early 2015, and they were recently upheld by the United States Court of Appeals for the District of Columbia Circuit. If you look at the FCC rules, T-Mobile’s PokéMarketing doesn’t quite break them, but it arguably violates the spirit of net neutrality. The FCC’s rules are designed to prevent mobile and broadband providers from blocking, throttling, or offering paid prioritization for specific content. Under the rules, Comcast can’t charge extra to get faster, higher-quality video streams from Hulu, for example. But T-Mobile isn’t really doing anything like that. It’s not letting you hit Pokémon Go's servers any faster than other games, it’s not throttling your access to Pokémon Go or other content, and it’s not blocking similar games. It’s just not charging you for data usage when you play Pokémon Go—a tactic known as zero-rating. 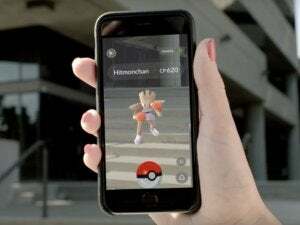 The problem, some critics say, is that by not charging for Pokémon Go you are effectively making it more expensive to play other games online. 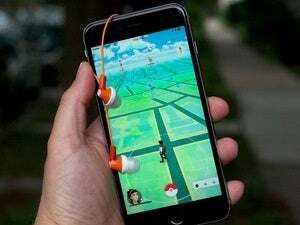 While Pokémon Go is free, other games that need an Internet connection will hit your data bucket, which could make people shy away from them when they can get Pokémon Go data for free. Going further, that could then put T-Mobile in a position to become a gatekeeper of sorts where it gets to choose what data gets through for free and what doesn’t—at least for its customers. That’s a problem with zero-rating that the Electronic Frontier Foundation pointed out earlier in 2016. Right now, however, the arguments against T-Mobile’s promotion are all about what could happen as a result, but there’s not yet a lot of demonstrable harm. There is a chance that T-Mobile’s Pokémon promotion could get dinged by the FCC, but the company hasn’t really suffered any serious repercussions over its much larger free video streaming program, Binge On. So don't expect to see any repercussions from Pokémon Go.